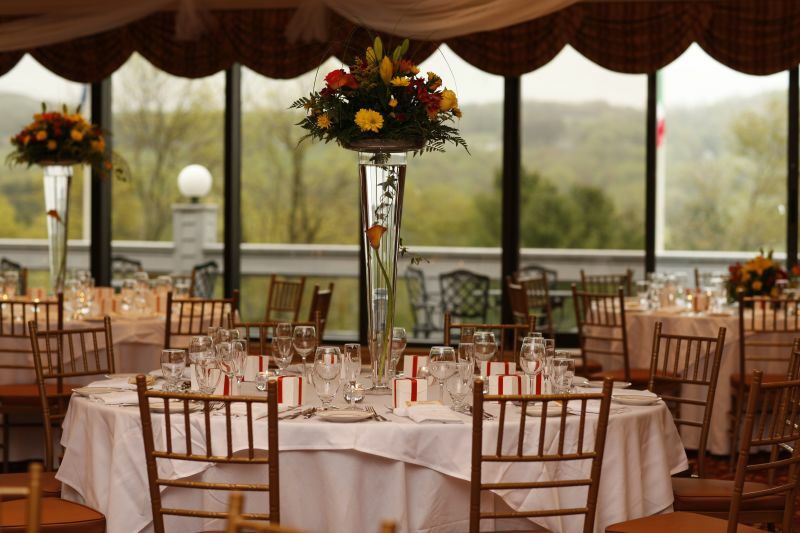 Overlooking our beautiful 18 hole golf course and Callicoon’s rolling hills, the Beechwoods Restaurant at Villa Roma is a top pick for the most beautiful affairs in the region. Our professional staff will provide efficient service and tend to every detail to make your day extraordinary. Available for weddings, the newly renovated Beechwoods Restaurant offers a private venue just for your wedding celebration, serving from 100-275.guests. A charming gazebo overlooks the 9th green for a stunning outdoor ceremony or simply for wedding photos. We also specialize in Destination Wedding packages. Ask our Wedding Coordinator how creative packaging can provide affordable solutions to hosting your guests for a weekend long celebration while enjoying all the many facilities the Villa Roma Resort has to offer. Whether for memorable evening or for a weekend long event, the Villa Roma Resort is the perfect choice for the most important day of your life!